We’d love your help. 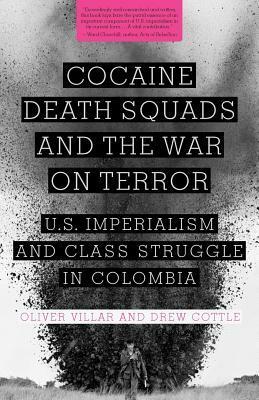 Let us know what’s wrong with this preview of Cocaine, Death Squads, and the War on Terror by Oliver Villar. Since the late 1990s, the United States has funneled billions of dollars in aid to Colombia, ostensibly to combat the illicit drug trade and State Department-designated terrorist groups. The result has been a spiral of violence that continues to take lives and destabilize Colombian society. This book asks an obvious question: are the official reasons given for the wars on Since the late 1990s, the United States has funneled billions of dollars in aid to Colombia, ostensibly to combat the illicit drug trade and State Department-designated terrorist groups. The result has been a spiral of violence that continues to take lives and destabilize Colombian society. This book asks an obvious question: are the official reasons given for the wars on drugs and terror in Colombia plausible, or are there other, deeper factors at work? To ask other readers questions about Cocaine, Death Squads, and the War on Terror, please sign up. Excellent book, one of the best pieces I've read on us foreign policy and the drug trade. A classic of the genre up there with Peter Dale Scott and Alfred McCoy's works.